For laughs, romance, betrayal, chrismukkah, hot indie rock bands and more, the place to be is The O.C. There's trouble as well as fun in paradise in this 24-episode, 6-disc Season 2 collection of the smash-hit series about thge restless lives of Orange County's haves and have-nots.The romances of Ryan-and-Marissa and Seth-and-Summer go from very over to very on, Sandy and Kirsten face choices that could trainwreck their 20-year marriage..
Senior year. Prom. Graduation. College visits. Old friends. New problems. And plenty of Korean popstars. Ryan's savior complex becomes a recipe for disaster. Seth and Summer's relationship hits the rocks thanks to Seth's compulsion to edit the truth. As Kirsten attempts to put her life back together, Sandy assumes leadership of the Newport Group and finds himself the heir-apparent to Caleb Nichol's legacy of scandal. Marissa spirals out..
Own The OC Seasons 1 to 4 DVD from Deff, DVD, Blu-Ray & 4K Video Specialists - Free UK Delivery..
For fans everywhere the place to be is the O.C., creator Josh Schartz's acclaimed, complex and witty tale of life among teens and parents in orange county's posh Newport beach. Money and beauty are the key values of this Southern California coastal enclave. 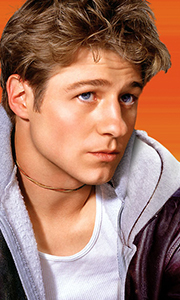 But from the moment troubled outsider Ryan Atwood (Benjamin McKenzie) moves in with the Cohens, all statues aren't quo. Peter Gallagher, Kelly Rowan and Adam Brody play the Cohens, a..
High school is over. Time to move on. But events conspire to reunite Ryan, Seth and Summer in posh, seaside Newport. AThere may even be a new Core Four. Because after Taylor Townsend says a quick if not passionate au revoir to her education in France, she just might pursue Ryan until he catches her. Time, too, for the series to move on with these 16 Final Episodes. Seth marries Summer? (Maybe). Ryan goes through life like it's a steel-c..